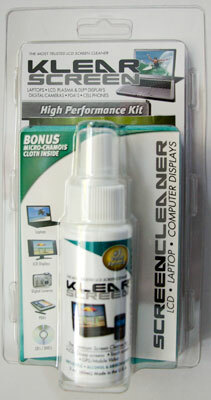 Klear Screen formula with our optical - grade Microfibre Chamois Polishing cloths for Digital Camera Lenses, GPS Screens, LCD Screens and more. Alcohol and ammonia free Klear Screen formula cleans and protects the optical- grade surfaces and coatings of your camera lenses and GPS screens and more . Washable and reusable Optical-grade microfibre cloths are long lasting.